Step two: Reminder email is sent if new student has not presented at ACOT 7 days after course commencement. In this email copies are to be sent to the student and their representative (if applicable), relevant staff at ACOT including the Chief Executive Officer, Director of Studies, Pastoral Trainer and student administration. 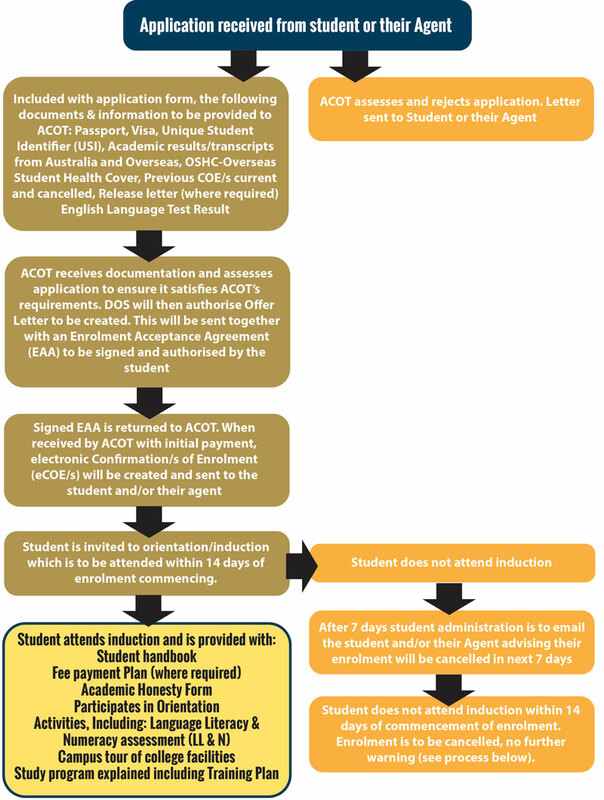 If no response is received from either the student or their representative by day 14 from course commencement the COE must be cancelled and a copy of the cancellation sent to: the student and their representative (if applicable), relevant staff at ACOT including the Chief Executive Officer, Director of Studies, Pastoral Trainer and student administration.